When I go to a pet shop or dog rescue centre the same thing always happens. It doesn’t matter how old I get, every time I see the huge, watery, doe eyes looking up at me I want to take them home. I get like a kid in a sweet shop. I want them all. I get it into my head that I have formed an unbreakable bond with one of them and it is time they joined the small army of animals I already have in my home. Then my partner needs to talk me down from adopting yet another animal by asking me the usual list of rational questions, such as how we could afford it and explaining how we don’t have the space for it. 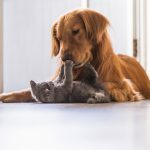 I have compiled his questions into a useful list of things to ask yourself before you get a new pet, which can be extra hard when you have the little ones whining at you all day and night long. Do you have the time to look after the animal properly? Whether it is a dog which requires several walks a day, or a cat which needs the litter changing, every animal requires a certain level of commitment. 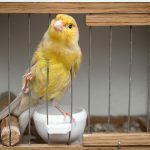 If you are not up to the challenge of properly maintaining your animal, consider something like a canary or a goldfish. Obviously, your pet should match your space. 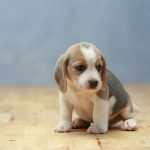 If you live in a third-floor apartment, a St Bernard’s will not be able to have a comfortable lifestyle in your home, but a Chihuahua might. 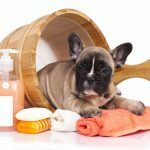 For dogs, it is also worth considering the temperament of the breed. Do you have children or other pets? How will this breed react to sharing its space with other little creatures, of the four-legged or two-legged variety. Some plants freely growing in your garden could be toxic to a dog or cat. Do some research before you get your pet to make sure that you have no dangers to the animal lurking in your home. Make sure any toxic chemicals are stored out of reach of an excitable puppy. In Australia, the average yearly cost of owning a dog is around $1,400. Cats cost less, but the point is to make yourself aware of the financial commitment. 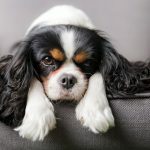 It is not good for the mental state of the animal to become accustomed to your home and your family, only to have it relocated within a year because you can’t afford to keep up with the running costs. Do careful calculations to ensure the type of animal you want is within your budget. Most dogs will live more than 10 years and can live to around 15 years. A puppy is fun and all, but all of the above points are going to apply for 15 years, are you ready to stick to it? Is there anything you can add to article? What is your opinion? Let everyone know through the comments section below. Paul K has indirectly had a lot to do with different cat breeds and their behaviours. He loves them to death and is sharing his experience.